For more than a year, pretty much all we’ve had to go on in terms of visuals for Disney’s villain story Maleficent is the stunning and sinister looking profile of Angelina Jolie as the title character, offering just a hint of her colorful eyes and the strange horned headpiece that reminds me a little of the Lord of Darkness from Legend. At long last, Disney got Maleficent to turn her head and look at us, and the effect is just the right amount of unnerving and positively chilling. The new poster comes to us from EW, and gives us an almost-full view of of her face, though part of it is obstructed by the high collar of her shirt. Cape? The fact that we don’t know that is actually all the more reason to anticipate even more glimpses of this character, as there’s clearly more costume involved in this look. In the meantime, we have a better look at those eyes and horns, which is enough, for now. And there are still months to go to see the rest, as the poster indicates, the film’s not set to release until Summer. 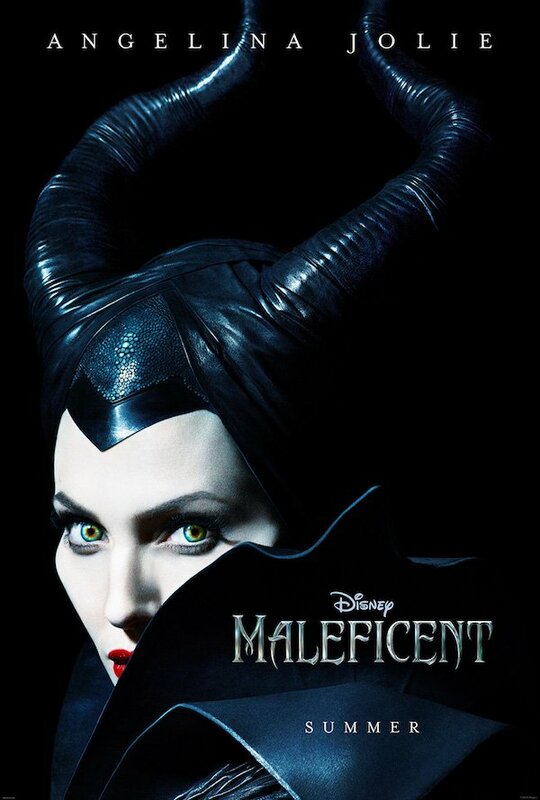 At present, Maleficent has a release date of May 30, 2014. The film is described as the untold story of Disney’s most iconic villain from the classic Sleeping Beauty. Much in the way Wicked — the book and the Broadway musical that followed — offers a bit of back-story to the supposed "Wicked" Witch of the West in The Wizard of Oz, it seems Maleficent may very well cause us to reconsider who Maleficent is, or at the very least, understand her motives. I’m choosing to take the optimistic approach to the news we heard late last month that Disney was bringing in The Blind Side’s John Lee Hancock to write a few scenes for the film, and that the planned reshoots will help the film reach its potential, which I really hope is the case. Especially considering there could be quite a few other great Disney villains out there lined up and hoping to have their own untold stories told in a feature film. Who knows what the success of Maleficent might lead to? That’s thinking a bit far ahead, considering we have more than half a year to wait for this one to hit theaters. In the meantime, Jolie’s looking stunning in pale and black.